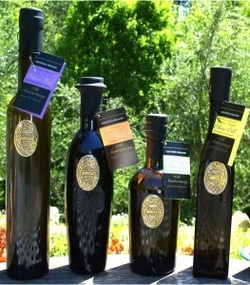 Theo Stephan from GlobalGardensOnline.com with some of the her organic olive oils and balsamic vinegars. Her line includes a wide variety of organic fruit flavors choices as well. 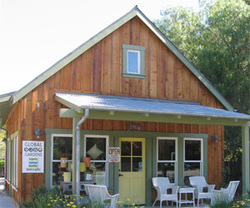 She also makes wonderful mustards and other specialty products growing many of the ingredients on her farm. Those that want to learn the health secrets of balsamic vinegar and olive oil will get the whole story this week on Smart Health Talk Radio Show on Thursday, August 9th at 4-5:00 PM. Theo Stephan of Global Gardens is a farmer and producer that controls all aspects of her organic products that will wow on flavor and deliver on nutritional value. When we think of olive oil and balsamic vinegar, we can’t help but think of the history attached to these iconic foods. There is a reason their staying power as dominant ingredients for flavoring and health have thrived since before 4,000 B.C., they are both delicious and deliver concentrated flavor and health benefits. Investigating the love and use of these foods to increase flavor, strength, endurance, and health can prove to be a tasty and enjoyable experience. Especially when you have Theo Stephan from Global Gardens in attendance with the fruits of her labor as a producer of both olive oil and fruit flavored balsamic vinegars. Theo decided to take all of her talents as an award-winning graphic designer, and leave the fast paced world she had worked in for over 20 years and trade it in for the peace and quiet of the farm. 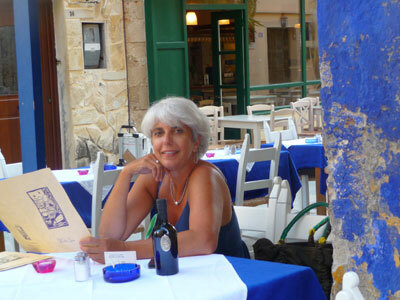 She not only has been successful at achieving her goal to bring a quality organic olive oil and balsamic vinegar to customers, but also has done it in spades. 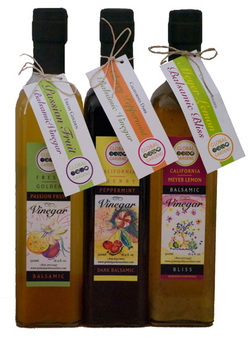 Her balsamic vinegar varieties offer a rainbow of flavors that use natures pure fruit juices to create taste sensations at a low calorie cost. Those that have been inspired watching our Olympic athletes, and want to get up and get their own health and workout program going to take off those extra pounds and add some muscle, will not want to miss Smart Health Talk Radio Show host Elaine McFadden’s interview with Theo Stephan. Producing a product that improves health was an added motivation for Theo to move forward with her dream. In the many classes she offers to help others appreciate what these products have to offer, she explains to eager students how, “Balsamic vinegar provides antioxidants and why it is a good choice to substitute her unadulterated extra virgin olive oil with unhealthy saturated and transfats.” She demonstrates how to use the flavored balsamic vinegars to add flavor to a wide variety of foods without adding high fat or high sugar products like salad dressings, ice cream, and butter. Watch us in the studio via USTREAM from the KCAARadio.com website as we recreate one of her classes in our studio. Be a part of the fun as we explore and taste test some of these incredible full-flavored condiments and oils. Learn how to take advantage of the health and flavor benefits you can get from both, and learn how easy they can be to cook with even if you have never done so before. Theo Stephan has perfected the simple healthy recipe. 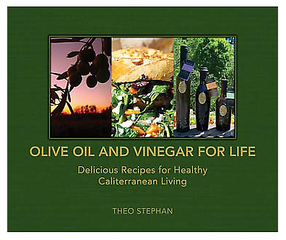 With her cookbook, “Olive Oil and Vinegar For Life, Delicious Recipes for Healthy Caliterranean Living,” Theo gives anyone that loves delicious food a chance to enter a whole new world of cooking and eating. She makes it easy to prepare meals that can be fast in a time crunch, to those that will impress even the most sophisticated guest with a taste sensation they will not soon forget. As more information gets out to customers on how our foods are being manipulated and altered, and then presented as the real thing, it is nice to know there are products you can trust to deliver more than you would expect. GlobalGardensOnline.com organic products are in that category. You get only the best nature has to offer, together with Theo’s caring and talented skills as a farmer and producer. Claudia Sanchez, CPC, HT from Clark’s Nutrition Stores will also be in the studio, bringing her expertise as a Certified Life Coach Hypnotherapist. Most have trouble making that transition to a healthier lifestyle, but may not be hard to understand since many have had little or no counseling on how to get there. We will also talk about Theo as a successful woman entrepreneur, and how other women can also tap into their inner strengths and talents to achieve their goals and dreams. There are lots of ways to listen live or watch our interview with Theo Stephan next Thursday, August 9th on Smart Health Talk Radio Show from 4:00-5:00 pm PST. Just type in “KCAA Radio 1050 AM” into the radio app on your cell phone, computer, or notebook. You can also listen live or watch the show in our studio by going to KCAARadio.com.” Click “listen live” to hear the broadcast or “USTREAM” to watch us in the studio. Easy instructions at: www.SmartHealthTalk.com/listen-live-on-your-cell-phone.html. Missed the broadcast? No problem because our podcasts are on KCAARadio.com and Smarthealthtalk.com websites. Get caught up and listen to past podcasts as well. Click here for the SBWire live version of the press release. Looking for something fun to do for a party that will thrill your guests? Try an olive oil, balsamic vinegar, wine taste testing with great bread. Click to go to all the specials. 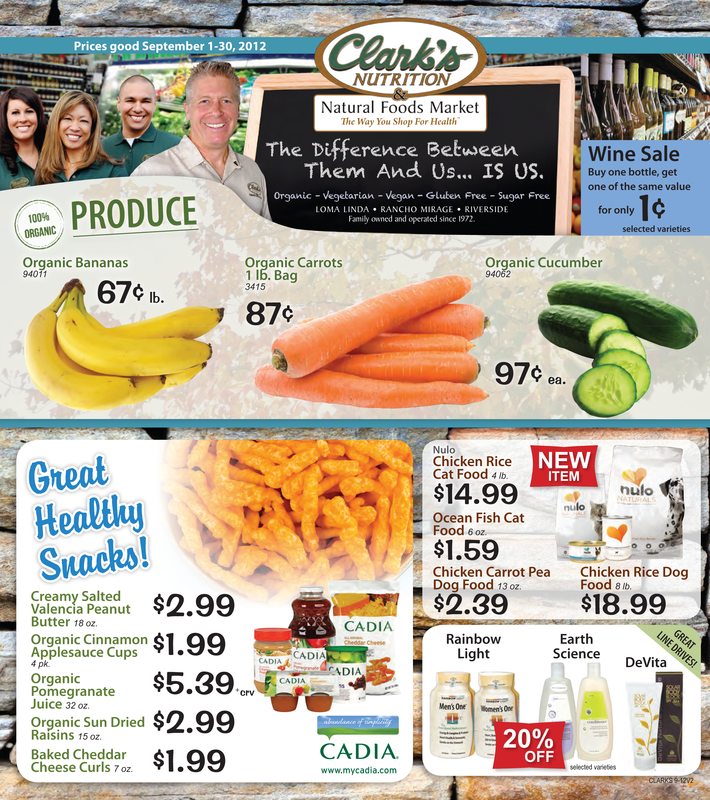 Count on your closest Clark's Nutrition Store for unadulterated olive oil and balsamic vinegar. 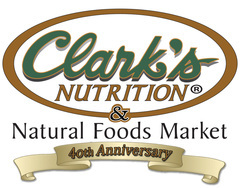 Many brands are not the real deal, but you can count on Clark's for products you can trust. Easy recipes made from whole food ingredients and olive oil and balsamic vinegar of course. Learn how to cook and wow guests and family. Theo's pecan pie recipe uses olive oil not butter.